A few years ago, there was an easy way to communicate in the family. We talked all of the time on the phone while away at work or at home. On the refrigerator, there was a calendar posted for upcoming events. Emails were sent and flagged. As with every process or plan — you tip over and there are too many things to keep track of and you find yourself missing appointments, over-scheduling and having issues with colliding entries with your family schedule. Establish a similar calendar for each of you. Gmail, Yahoo, office, Apple so the invites are consistent. Invite your spouse on all of your appointments as a separate invite from that similar calendar app. You don’t have to be specific. Just block the time and include your spouse on the invite. Use the location as a good way to tell her it is for office or it is for personal. Since they will know they are not involved by the lack of info pertaining to them, ask them to mark as ‘maybe’ which will allow them to double-book another entry without conflict. Gmail to Gmail. Apple to Apple. Clean. Mark it as ‘YES’ if you are going with them to some event, etc. 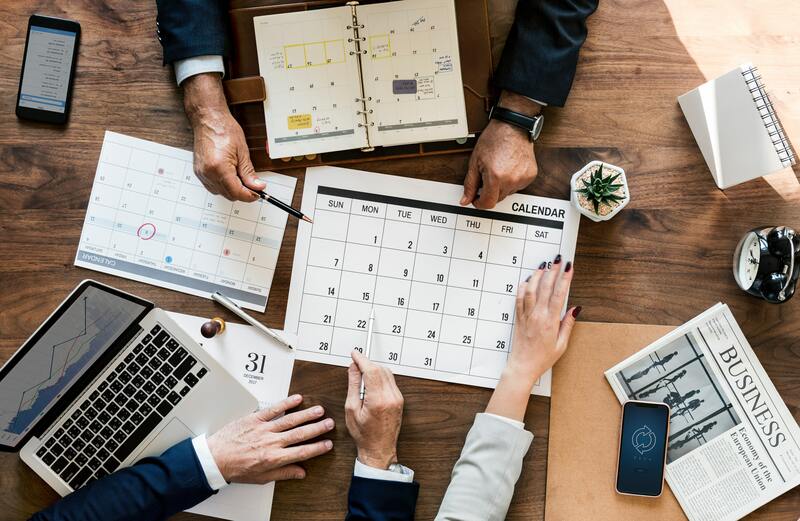 If you are able to mix calendars on your smartphone and overlay, you will find an enhancement where you may be able to see work activities on top of your personal engagements. But only on your phone. Only if your business allows access to the calendar from your phone and not from a separate container smartphone application. I never advocate overlaying your shared, home or non-business calendar on your work calendar. Nor add any *personal* calendar items on your business calendar for someone other than you. If you have an errand and you need to mark it as personal time off, mark it. Depends on your employer policy on where you are. The reminders on your devices will all be useful information to not miss your life at home, life at work and reduce the stress of not knowing where your family members are when you need to get a hold of them!